We like: Very impressive cleaning and carpet drying performance – no more soggy and smelly wet carpets! Some impressive features such as heated cleaning and powered hand tools. Not so good: It’s not cheap! Could be considered noisy and heavy by some. Verdict: The Vax Dual V is an expensive piece of kit (when not on sale) but offers excellent cleaning and drying results thanks to some thoughtful and time saving features. Is it worth the extra cost? If you are regularly cleaning carpets or as a carpet cleaner for a pet owner, then yes; if not it may be worth considering one of the cheaper carpet cleaners for sale. 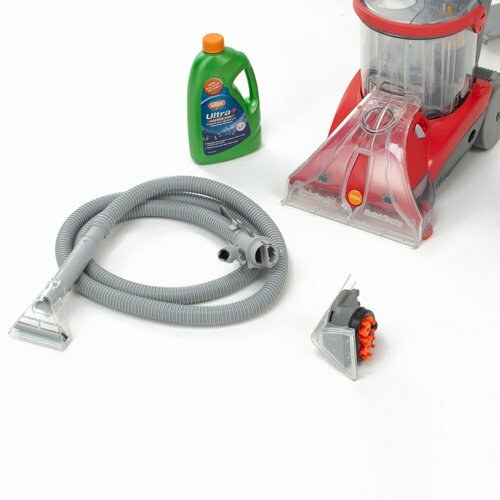 The Vax Dual V (model V-124A) sits in the middle of the Vax carpet cleaner range along with the Vax All Terrain model. Considering that the Dual V costs up to three times the price of a Vax 6131T (depending on sales etc); is it worth the extra? Well for a start, what does the extra money buy you? On the Dual V, motor power output is an impressive 1350 watts which is considerably more than the 500w motors offered in Vax’s lower priced models (except the 6131T). 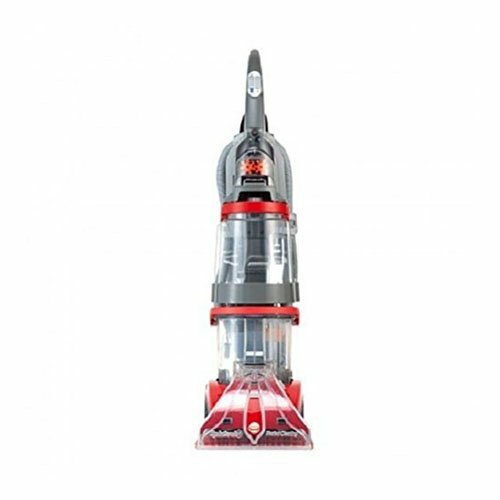 Although the Bissell’s CleanView Deep Clean offers even more power at 1850w, the Dual V’s powerful motor will still ensure that water from the carpet is extracted more effectively than most things on the market. 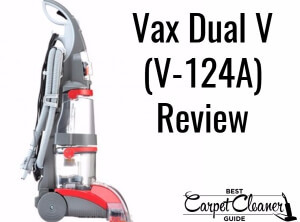 Another important aspect to the Vax Dual V is heated cleaning – unlike some Bissell models that heat the water, the Dual V applies heat to the carpet which will help reduce drying time. Another important feature on this model is the SpinScrub “powered” hand tool for use on stairs or upholstery; this features 2 rotating brushes that agitate the fibres, resulting in a deeper clean. 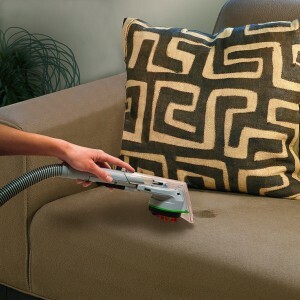 Most customers report that the hand tool is a very effective cleaning device, whether for stairs, upholstery or car seats; although some users find that the tool can be tricky to assemble and also have problems directing the cleaning solution. 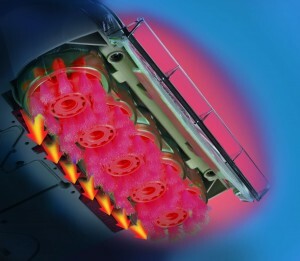 The Vax Dual V (along with the Vax All Terrain) features spinning brush heads rather than rotating brush bars found on lower priced models; the Dual V having five heads, the All Terrain six. These rotating heads help to lift the carpet fibres and really work in the cleaning solution to deliver impressive cleaning results. In terms of practicality, this is one of the heaviest carpet cleaners on the market at nearly 12kg, which is almost 4kg heavier than the entry level Vax Rapide Deluxe model. Tank sizes for clean and dirty water are 3.7 litres and 3.2 litres respectively, which is adequate. An impressive feature on the Vax Dual V is a separate tank for the cleaning solution allowing the solution to be mixed with the water “on the go” so no premixing (and measuring) is required. The only downside regarding the tanks is that some users find them a little awkward to install which can (and has) resulted in leaks and breakages. One thing to consider is that, with all its cleaning power, the Vax Dual V is quite a noisy machine so it might be a good idea to grab some good headphones while you’re out shopping! On the positive side, it’s also worth noting that this model comes complete with a very impressive six year guarantee. More technical details for this carpet cleaner can be found on the Vax website and you can read more Vax reviews and see how this compares to other Vax models here. This is an expensive cleaner, yes, but it does clean your carpets very well. I am amazed at the dirt it picks up every time. The brush is also very good for cleaning car seats (I’ve found). Just bought one of these. Love it! Cleans the carpets well and they dry very quickly. It is quite heavy but was not a problem for me. Please note: this video is provided by Vax and is not an independent review. It is to show the product in use only.